A Beautiful Ruckus: Melissa & Doug Toys: Be My Valentine Giveaway - 3 Winners! 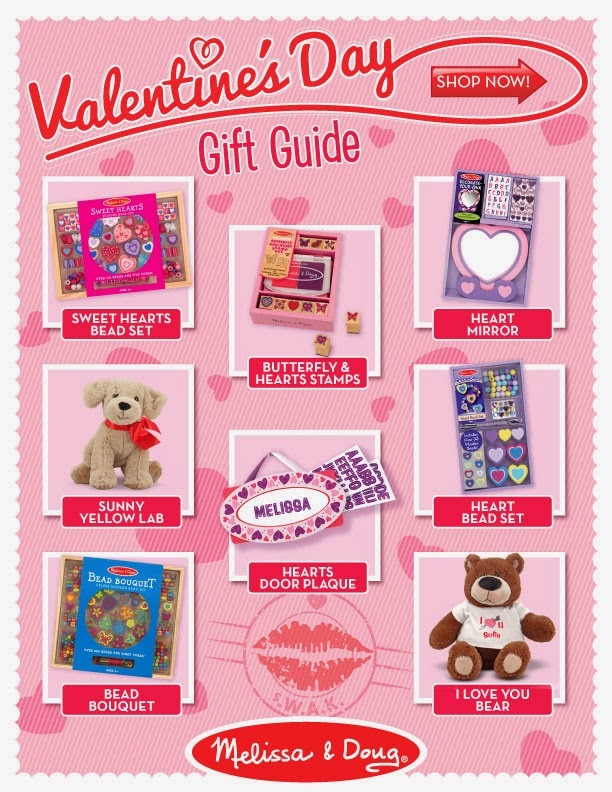 Melissa & Doug Toys: Be My Valentine Giveaway - 3 Winners! Confession: I always get just a little bit giddy when I get to work with Melissa & Doug Toys! I know you all see posts come through about them on a fairly regular basis, and it's because we really do love these toys at our house! One of my commitments to you is to always be honest and authentic, and that means letting you know if we find something that fits our family perfectly. But when I can offer you a chance to land some Melissa & Doug products for FREE? Well then, I'm definitely all over that! These lovey ladies have all partnered with me to bring you another giveaway that is even MORE fun than the Christmas one we did a couple of months ago! Just like our family, the bloggers above love using Melissa & Doug in their homes! Between the educational aspect hidden in play, the quality of the products, and the fact that they grow with our kids, we know that Melissa & Doug products are worth the investment. Let's face it, no one wants to repeatedly buy a favorite toy that keeps breaking, right?? Right! So...what exactly can you win in this giveaway?? Well...we are giving away THREE of these! Each Valentine's Day Gift Guide Set includes over $90 worth of toys and crafts! 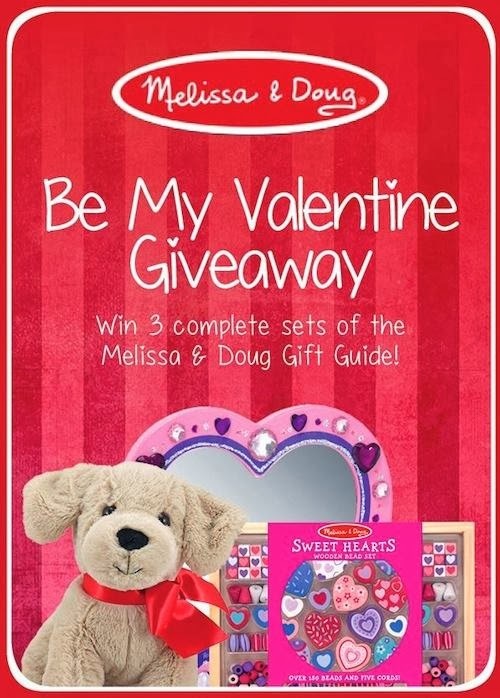 That's right, THREE people will win EVERYTHING on the Melissa & Doug Valentine's Day Gift Guide! There are lots of fun items on the gift guide to keep your kids entertained. I love all of the crafts that they included on their guide too! I may be an adult, but I sure wouldn't mind getting to play with a few of these myself! Enter for a chance to win one of 3 Full Sets of EVERYTHING on the Melissa & Doug Valentine's Day Gift Guide! The giveaway is open to US Residents only and closes at midnight on Friday, February 14, 2014. Complete as many entry options as you like! Hint: If you finish the first entry option below, it will unlock a second set of entry options! Your chances of winning go up dramatically the more entries you get in the hat! A Beautiful Ruckus received no compensation for sponsoring this event, nor is she responsible for the delivery of the prize. Prize delivery is the sole responsibility of Melissa & Doug, LLC. Three winners will be drawn randomly and notified by email. The winners will have 48 hours to respond in order to claim their prize. If they do not respond within the 48 hours, they will forfeit the prize and an alternate winner will be chosen. This post may contain affiliate links. For more info, please see my disclaimer page. We gave some Melissa & Doug toys as Christmas gifts this year to the angel tree kids we "adopted". I hope they loved them as much as you and your kids love them.